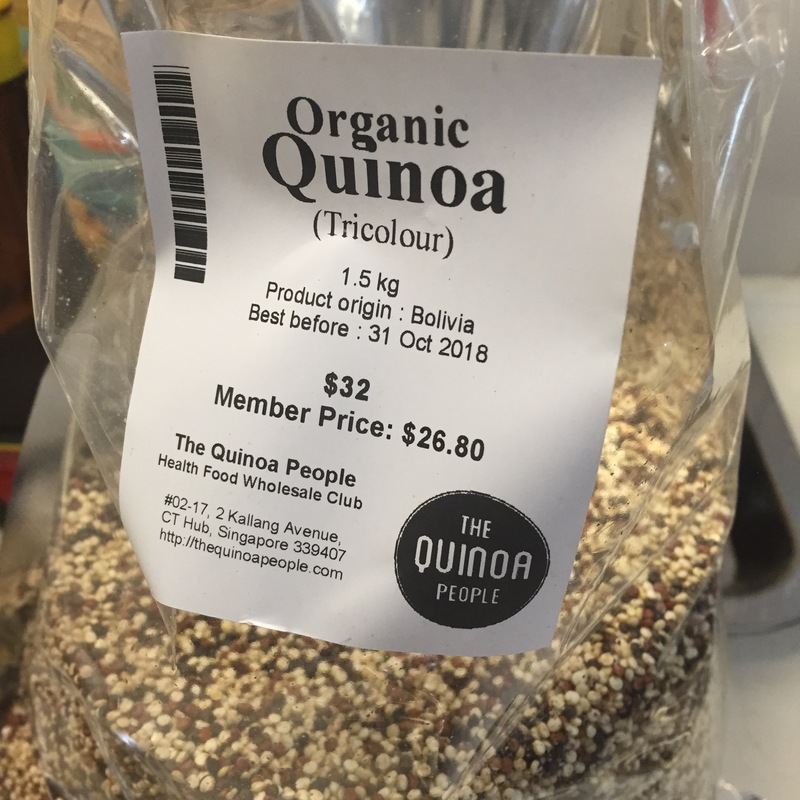 Mrs Eio cooked the Tri-colour Quinoa that she purchased from the Bento People (the Quinoa People). 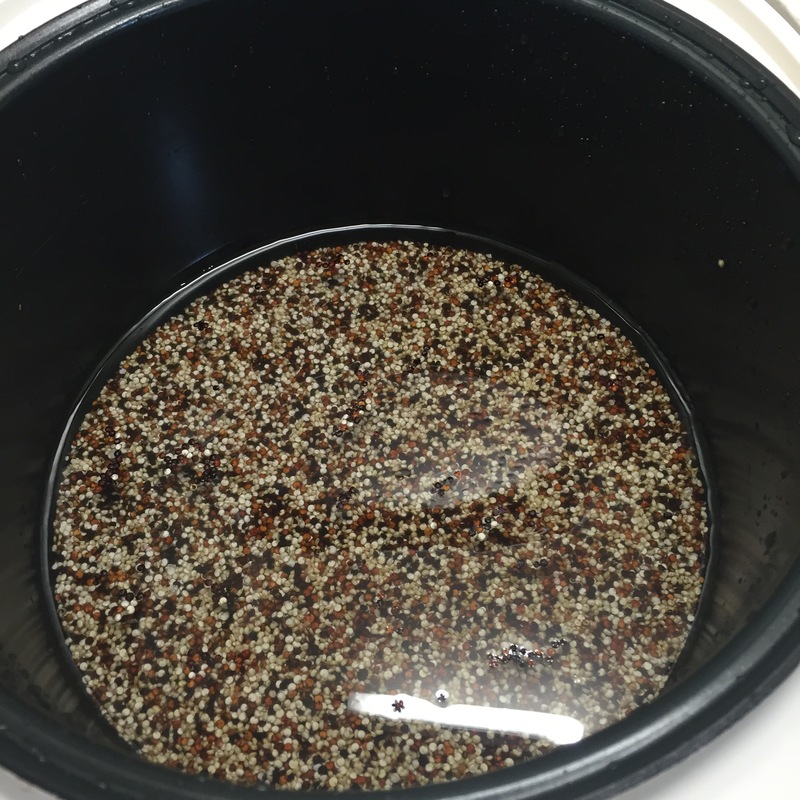 Rinse the quinoa with water. Mrs Eio cooked the quinoa in a rice cooker. The water to quinoa ratio is 2:1. 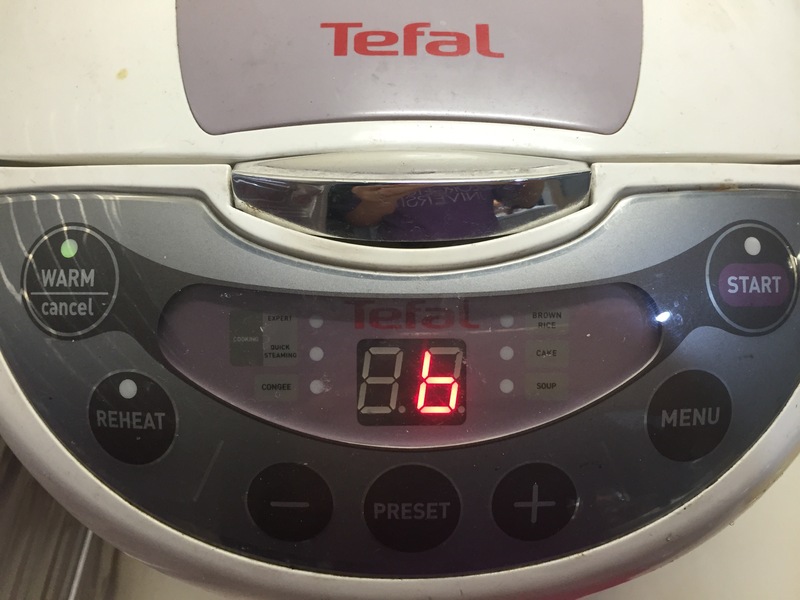 One of Mrs Eio’s faithful comrades in the kitchen is this rice cooker. Just select “expert” mode, everything will be done perfectly. 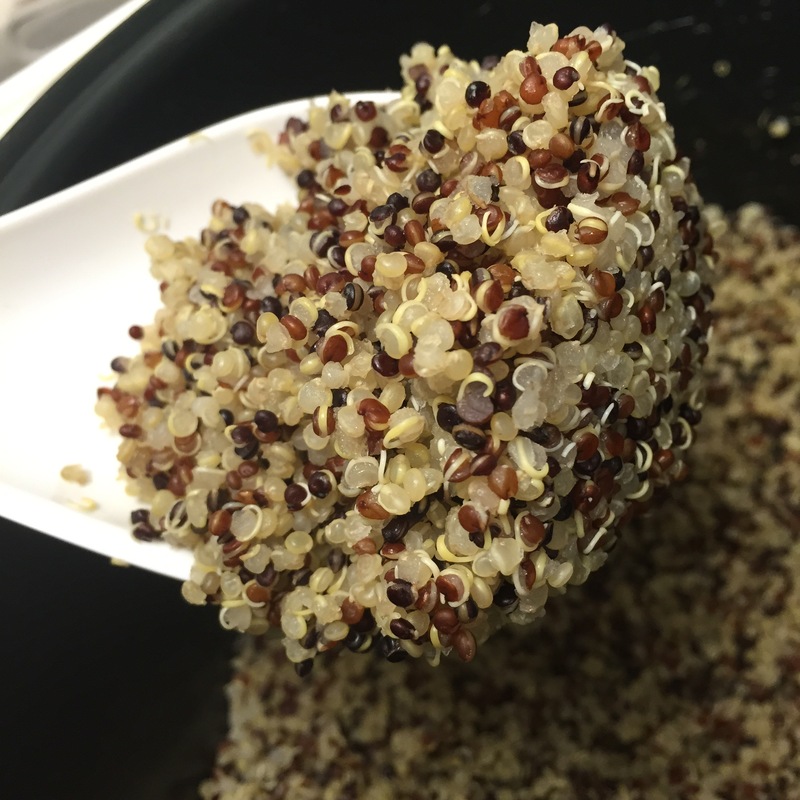 The tri-colour quinoa is more “husky” as compared to the light brown ones. The texture is like chewing sesame seeds among the light brown quinoa. 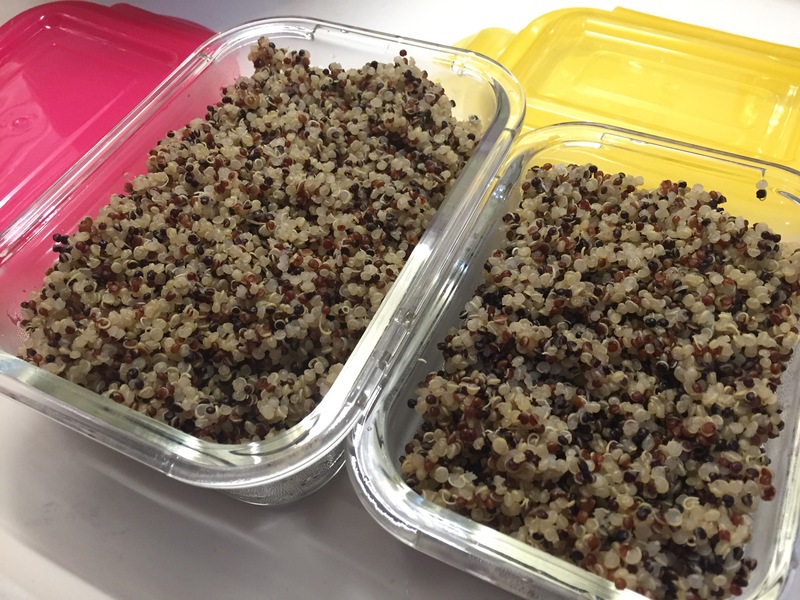 Freezing quinoa: Mrs Eio cooked 3 cups of quinoa & decided to freeze the leftovers. Check out this website on the way to freeze quinoa. 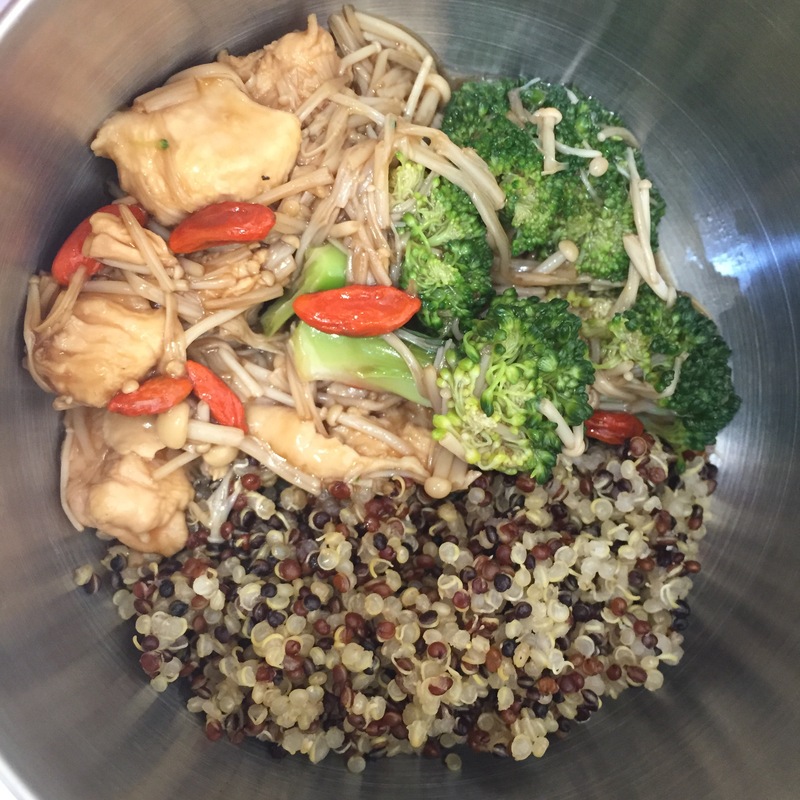 Quinoa as a side dish with toufu & brocolli. It definitely adds some crunch to toufu & makes it more palatable. Mrs Eio loves to add wolfberries to her dishes. This a great protein-packed dish for vegans! 1) Steam the brocolli & beancurd. 2) Boil 2-3 cups of vegetable or chicken stock. (Depending on how much sauce you want). 3) Add in cooked quinoa (half a cup) & wolfberries (one table spoon). Bring the sauce to boil. (Optional: add seasoning, salt & pepper if you prefer to). 4) Add in some cornstarch water to thicken the quinoa sauce. You may add an beaten egg if you want to. (But make sure there’s enough sauce in the pot to cook the egg). 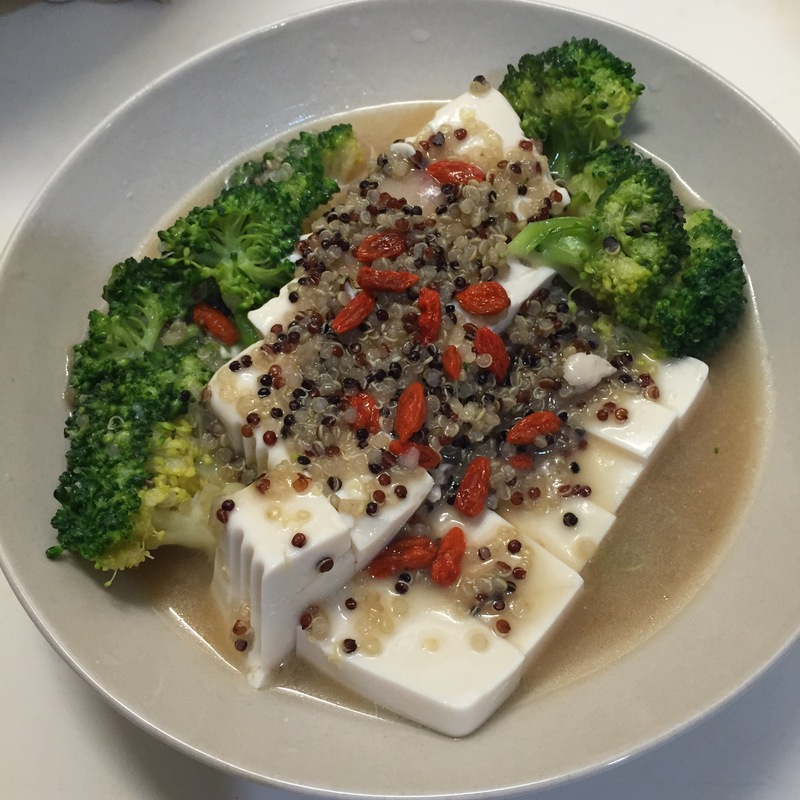 5) pour the quinoa sauce onto the beancurd & brocolli.